It is a general consensus that apps need to get downloaded to your mobile or other smart devices and some good and featured apps always come with spending money. 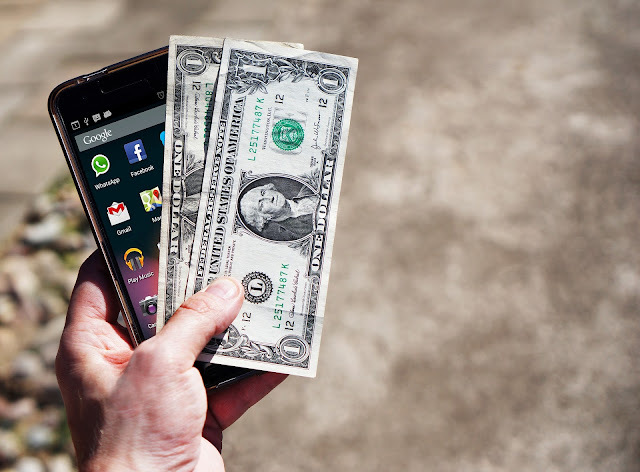 Do you know that you can also earn money through an app? That’s right. There are some simple tasks like completing surveys and offers or just using an app can help you earn a few bucks. Of course, you cannot make a living out of such apps. However, they can be a good way to generate some extra pocket money or at least get some good amount of cash to pay your gym fee or buy the paid apps. These apps come under the entertainment or gaming field of Mobile App Development, where you can really enjoy the technical fascination with earning money. Here follow some apps in the list given below that will surely help you earn money and rewards for free. PanelPlace app has been the best paying app last year and is doing really great this year as well. It is a 100% survey based app where the surveys are provided from the popular survey site Toluna. This app comprises a pleasant user interface and is very simple to use. Also, this app will never let you miss any survey as you get regular notifications of the new panels. Generally, their surveys are simple to answer where highest payouts are offered to the users in the survey panel market. You can either sign up through a website or sign in on your smartphone once after completing registration. Do you want to invest in free Ethereum or Bitcoins? The Bitmaker Free Bitcoin app that is now known as Storm Play can be helpful in this regard. Here, you get paid in terms of blocks that can further be exchanged for Bitcoins in every 30 minutes. You just have to watch an ad while collecting your block’s allocation. The payout percentage is less and the payment is made on a Saturday while you are reaching the threshold. However, this changes depending upon the trading prices of the cryptocurrency. To collect Bitcoins, you should have a Bitcoin wallet and a separate wallet if you are going to collect Ethereum. Bitcoin wallets can be found online and sign up easily. It is also known as ACOP that is among the top class iOS apps that pay their users best. American Consumer Opinion, also known as ACOP, is the best iOS app that pays you, however, it is only available on Apple devices, unfortunately. Developers are trying to extend it to Android and eventually will sometime later, it is expected to retain its popularity then as well, as the best paying app. ACOP, as a leading survey panel app, is famous for best paying surveys for the people living in the US, UK, and Canada. The app comprises a decent interface and can be used straightforwardly. If you have already subscribed the app, you will be notified through alerts as an invitation to participate in a survey. Here, you are open to choose a variety of rewards upon pay-outs and out of them, PayPal cash is termed as the best choice reward. CashPirate has ranked on top consecutively for 5 years in this list and has been one of the favorite apps of the users due to offering reliable payouts. This app helps you earn at least an average of $15-50 per month in terms of Bitcoins, PayPal cash and Amazon Vouchers. PayPal cash minimum payout is $2.50 and you can earn points in this app just by downloading the new apps and completing offers. You can earn money through this app by watching videos, but the only limited number of videos are available for you to watch in this case. The referral program offered here is probably the best among all where you get 10% as referral earnings and 5% of your referrals refer someone else. The extremely dated interface of this app surely attracts the users. They always pay on time and hardly had any issue related to making payments with anyone. App Karma has recently reached among the top paying apps where users can earn daily rewards using their smartphones. Till today, more than 1 million installations are confirmed of this app and very soon it has become the most popularly downloaded app for free from the Google Play Store. The iOS version of the app is also available for free download. 5% points are earned back to you while you are redeeming your rewards through this app. Gift cards are available worldwide for the global audiences. PayPal cash, Amazon gift cards, Google Play gift cards and Starbucks vouchers are included in the rewards list. It is another good Android App that pays money for downloading free games and apps to your smartphone and sign up for free offers. It is a reliable app and ranks on top among 50,000 apps on the Google Play store has the 5-star rating. The app is worth downloading. Tap cash rewards are pretty impressive in comparison to some of its rivals, where 15 rewards are given to the users including PayPal cash, Amazon gift cards, Google Play gift cards and paysafecards. Earn Money app is the most respected app among its counterparts. Here, you can earn money in different ways including free offers, download free apps, answering surveys and be registering to paid websites etc. Earn Money pays $0.25 per referral and only PayPal rewards are facilitated where you can get the money credited to your account within 24 hours only. The 4.3-star rating makes it among the most reliable apps on the Android platform. MintCoins is a slow paying, but reliable source where you can earn a minimum of $1 payout and $0.25 for each referral. Rewards are paid through PayPal for free app downloads, completing offers and answering surveys. When you are looking for money and pass your time, it will be the best app to spend time with. This money making app was set for sale in 2016. It is a really good paying app where the users are paid for watching videos and downloading apps. You can take various offers here and earn coins for completing them. You can exchange coins forwards including mobile top up. PayPal cash, Steam Vouchers and Amazon vouchers etc. are famous rewards from this app. It also ranks among the popular apps that have over 1 million installations. It owns 4.6 rating in the Play Store and is retaining its place among the top-notch apps in the market. A number of ways are there to earn using this app, it can be slow or tedious. However, the rewards here can be earned by filling in surveys, watching videos and benefitting with the free trials. PayPal is the only way to get the rewards in return that seems the best things here. Money making apps are always eagerly welcomed by the app users in today’s world of technology. Apart from the list of top-class apps in this category, Kunsh Technologies also offers the best mobile app development services to their clients worldwide.